Městský fotbalový stadion Miroslava Valenty is a multi-purpose stadium located in the Zlín Region town of Uherské Hradiště. Home to 1927 established Czech First League side 1. FC Slovácko, the Městský first opened in 2003 and currently has a capacity of 8,121. The site on which today’s Municipal Stadium sits has been used to host football matches since at least 1920s, with the first pitch fenced off as early as 1923. Three years later the first changing rooms and clubhouse was erected, and in 1929 the site received its first wooden grandstand. In 1980 the iteration of the stadium opened when the existing wooden grandstand was demolished and replaced by sections of seating made from reinforced concrete. 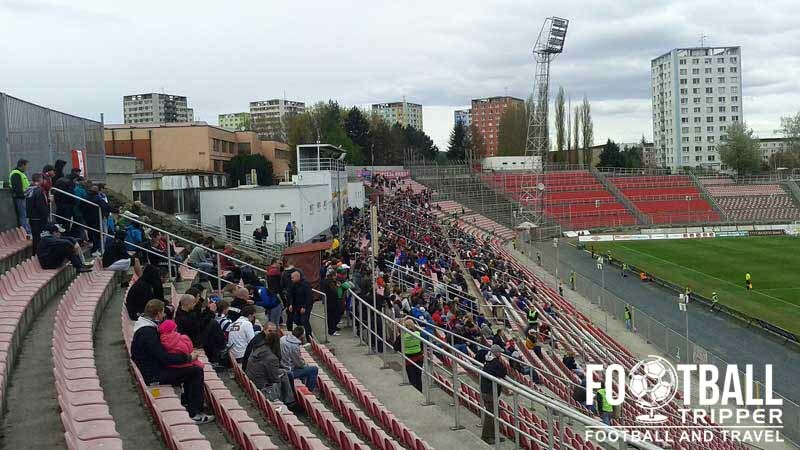 The stadium peaked with a capacity of 12,000 in August 1995 when a full house saw FC Slovacko take on Sparta Prague. 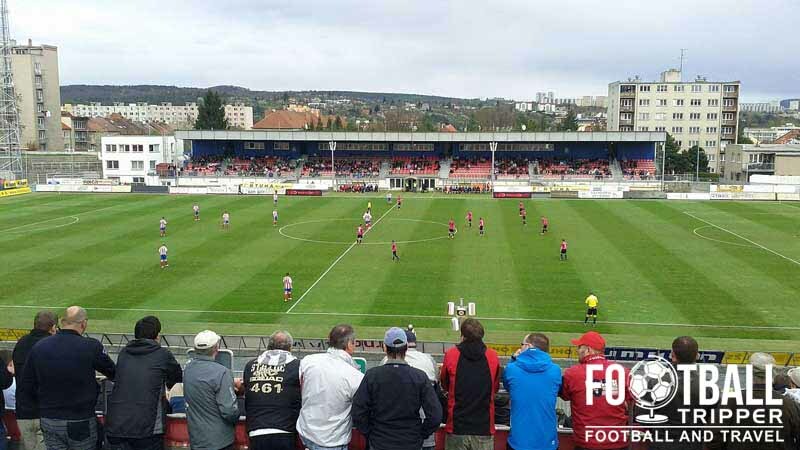 Beginning to show its age at the turn of the millennium, the city of Uherské Hradiště opted to completely rebuilt the stadium, and at the end of the season in May 2000 the builders moved in and slowly began demolishing the old stadium. 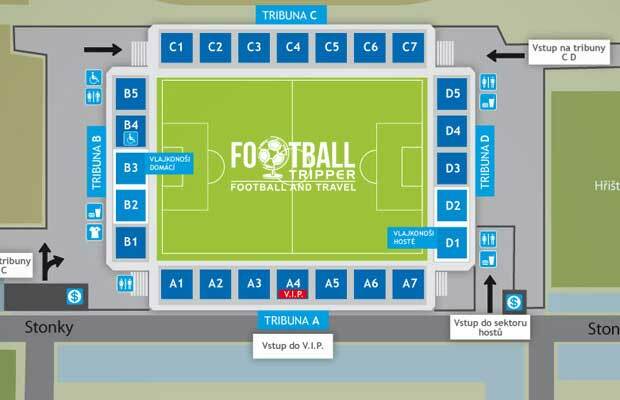 Costing an estimated 251 million koruna, the new stadium consists of four modern stands and a total capacity of 8,121. The inaugural match at the new Miroslava Valenty Stadium was held on 12th October 2003 in a match between, 1.FC Slovacko, and Borussia Mönchengladbach. The home side christened their new stadium in style with an impressive 3-2 win against their more famous German visitors. 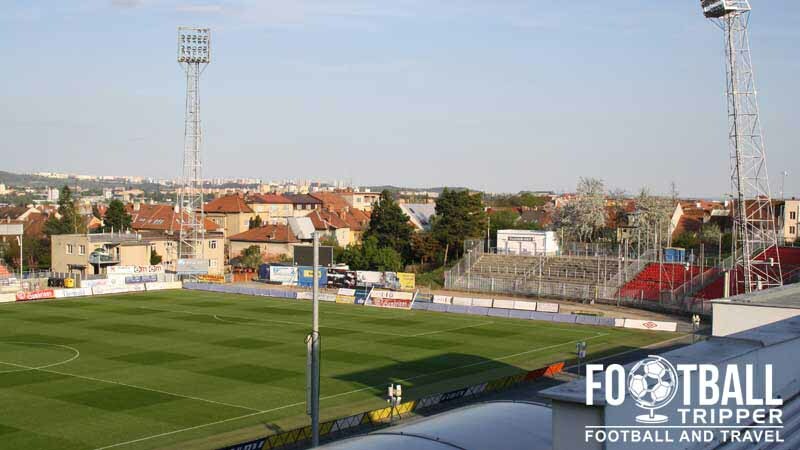 Traditionally known as just Městský fotbalový stadion which roughly translates as “Municipal Football Stadium”, FC Slovacko’s ground was partially renamed in honour of club patron Miroslava Valenty in the summer of 2009, after he died the previous year. The stadium has hosted two international matches to date including a farewell match for Juventus’ Pavel Nedved in 2006, and a 2010 World Cup qualifier against San Marino. 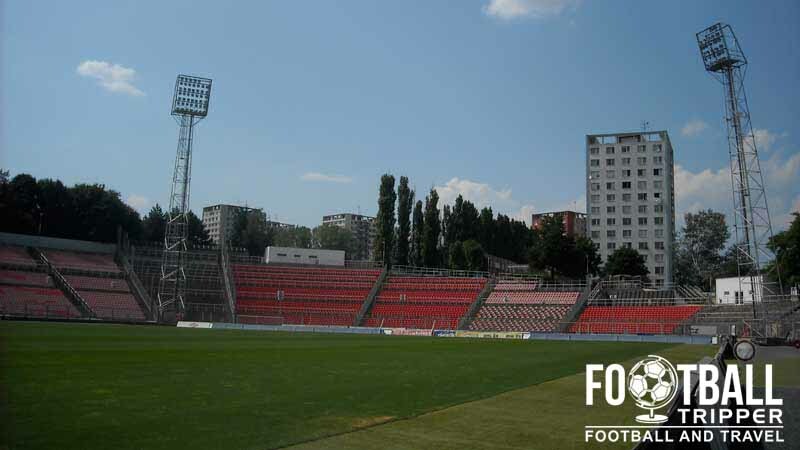 The Miroslava Valenty City Stadium is comprised of four stands: North, East, South and West.